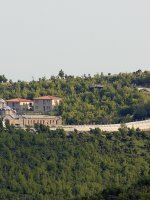 Two kilometers from Griva village, a peaceful landscape, dominated by the monastery of Raphael, Nicholas and Irene. The impressive hand carved iconostasis of the chapel is the work of Myrrhbearers fathers of the historic Serbian monastery Decani. The permanent and precious spiritual treasure of the monastery, relics are parts of three martyrs Saints Raphael, Nicholas and Irene. 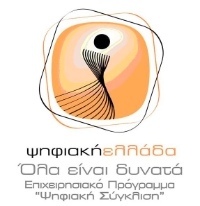 It is built on one of the most beautiful slopes of Mount Paiko 7km. 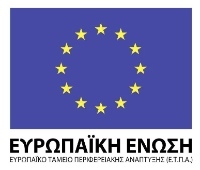 far from the town of Goumenissa. 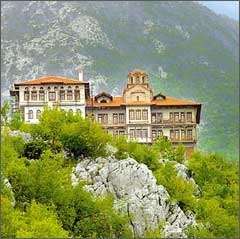 This monastery belongs to the Holy Monastery of Simonos Petras which is located on the Holy Mountain of Athos. 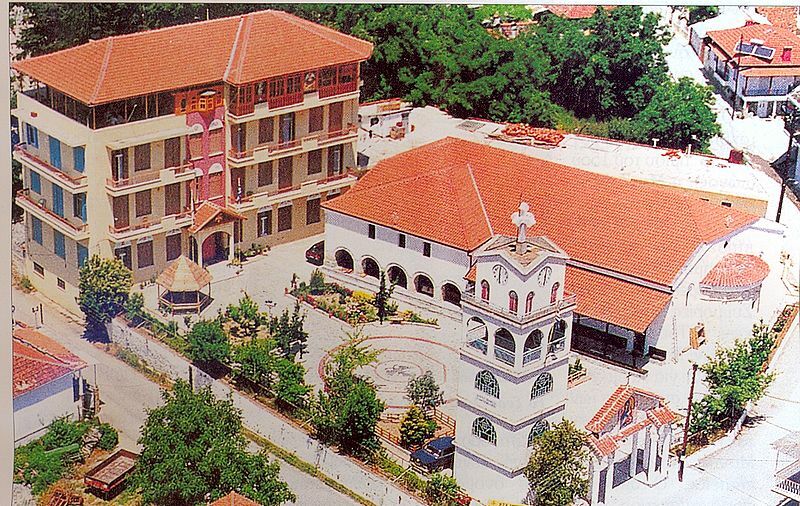 Construction first began in 1981. In fact, the church is divided in two levels. 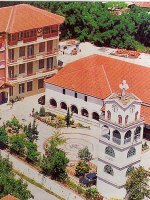 The upper level is dedicated to Hosios Nicodemus and the ground level to Saints Raphael, Eirini and Nikolaos. 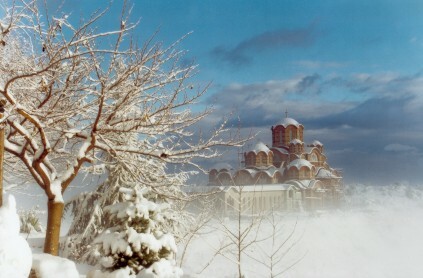 The Monastery is famous for its artistic production, namely, its hand-painted icons. The church services and ceremonies are observant of the Holy Mountain rite. 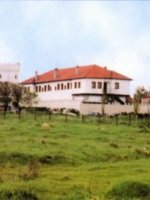 On July 14th, as well as the Tuesday after Easter the monastery hosts a fair. 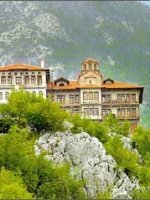 In the ruins of the abandoned settlement, in a quiet hilly area of the old core of the church of St. George is the Holy Monastery of Saint George glacial Goumenissa. 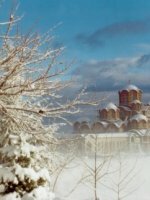 The church, classical Basilica, builtbetween 1800 and 1830 and has remarkable Byzantine decorated withwood carvings and pictures on the iconostasis of the season and theroof. Operates two-storey house with two guest quarters, exhibitionspace, images and artifacts from the nuns. 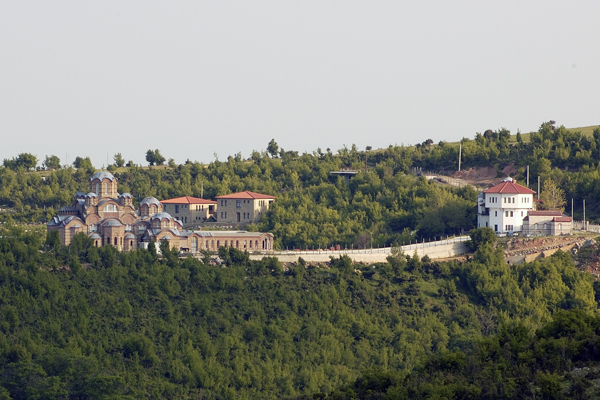 Access to the monastery can be through mountain villages Omalo and Pentalofo or through Giannitsa and Eleftherochori. 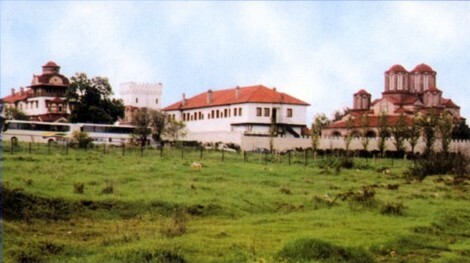 The Holy Monastery of Panagia in Goumenissa was the largest religious center in the region during the Ottoman Period. Inside the church, which belongs to the type of three-aisled basilica with apolygonal apse sanctuary of carved stone, wood is an excellent set. A shrine is located inside and a miraculous image of Our Lady makes the church an important place of worship.